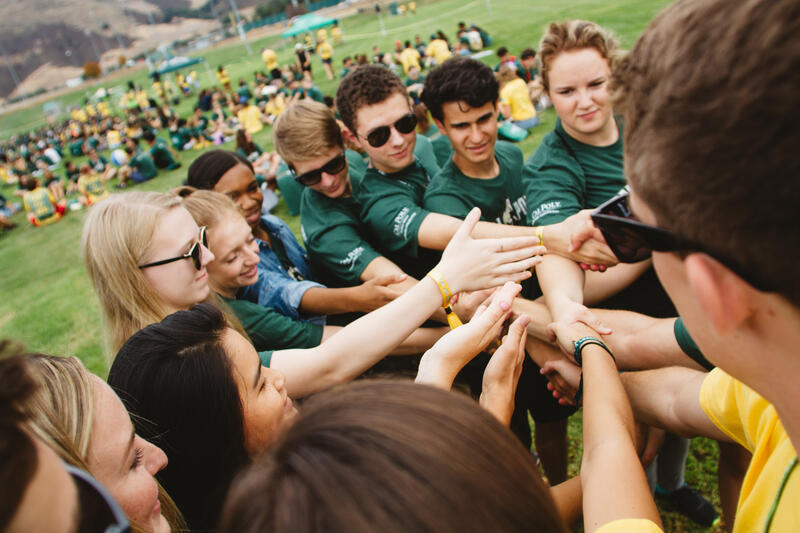 Orientation Week of Giving is a week-long event focused on fundraising for Cal Poly’s Week of Welcome. 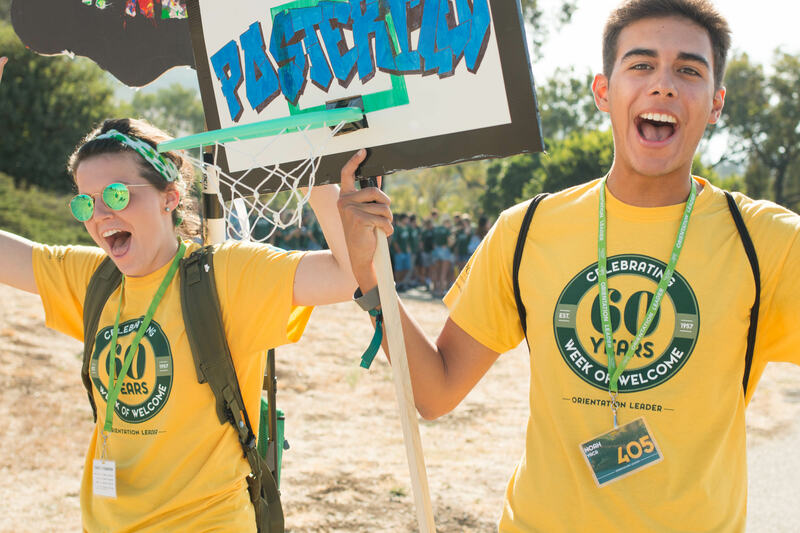 The Week of Welcome (WOW) is a 60 year long tradition at Cal Poly taking place in September leading up to and around New Mustangs' first days of classes. 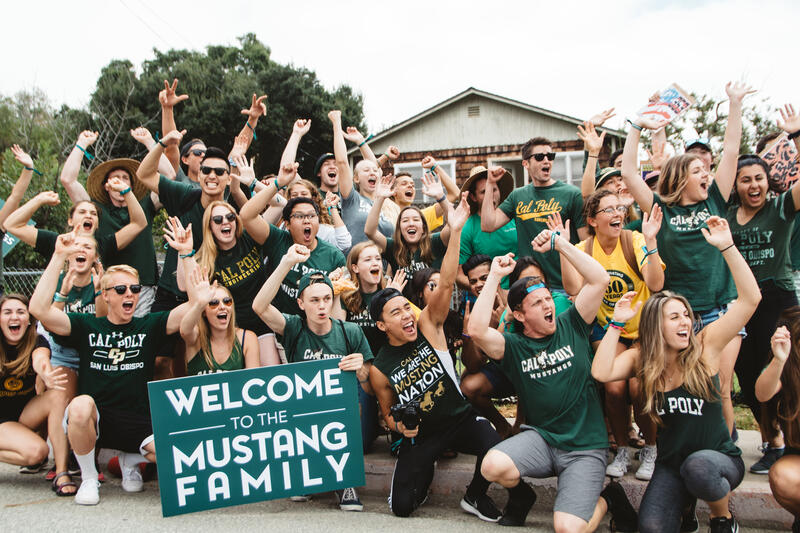 Start off your career as a Mustang as you and your new classmates move-in, kick off the year with the Big Fall Welcome, explore the central coast, learn about your role as part of the Mustang Nation, start on your Journey to Academic Success, and make life-long connections. Your gift supports the legacy of our traditions and program, directly impacting the leadership experience of our over 900+ WOW Leaders in the 50+ hours of training they receive and 50+ hours given back dedicated to new students. Your generous $10 donation supports an iconic yellow shirt and backpack for 1 excited WOW leader. Your generous $25 donation supports an iconic yellow shirt + backpack for 5 grateful WOW leaders, and supports WOW Leader recognition and awards. Your generous $50 donation supports WOW + SLO Days professional uniforms and conference opportunities for our awesome student leaders. Your generous $100+ donation supports high-level training and development for executive student leaders and WOW Team who organize an unforgettable orientation experience for all incoming students.